We have acquired four offices in a complex and have putted cctv cameras to keep track of our employee and their work so we have to feet a LCD system in our office. So can you provide rack for it?? This framework used for holding objects. 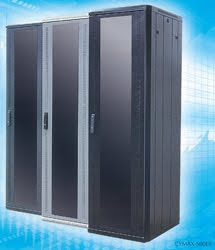 Server racks are designed and built to hold electronic equipments such as computers, servers, monitors, patch..
Hi, keep it up. Information given is very useful. Cool! I think it is more better if you post some steps for that. Anyway, thanks for sharing this post.